Discover how packaging your products correctly, before shipping will prevent them being damaged and disappointing your customers with our free ebook. Tired of packaging issues that lead to products being damaged in transit? You probably know pre-shipment inspection is crucial to confirming that your products meet your expectations. But did you know that inspecting your product packaging can save you from the nightmare of receiving goods that are unsellable or not receiving your goods at all? Quality issues with packaging materials and assortment can lead to your product being damaged in transit. Improper labeling of packaging can result in your shipment being delayed or refused at customs. Distributors may even refuse outright to stock your product if you fail to meet their packaging requirements. How can you inspect your packaging effectively and ship your goods with less stress than other importers? You’ve just discovered one of the most comprehensive resources to help you ensure your products reach your customers safely and on schedule. 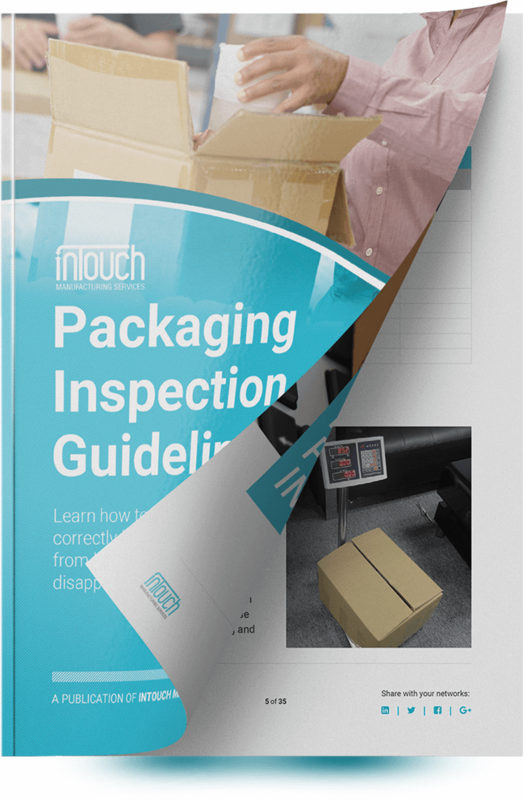 This free packaging inspection guideline has everything you need to know to get start inspecting your product packaging like a professional. Your product packaging is often the first thing your customers see. Don't you want to dazzle your customers with top-notch product presentation and retail packaging? This inspection guideline will give you the tools you need to get there. You’re about to sleep a whole lot easier knowing how to manage packaging so your customers receive their products in mint condition and without delays. Just fill in the form on this page and click "DOWNLOAD NOW" to request your FREE copy!